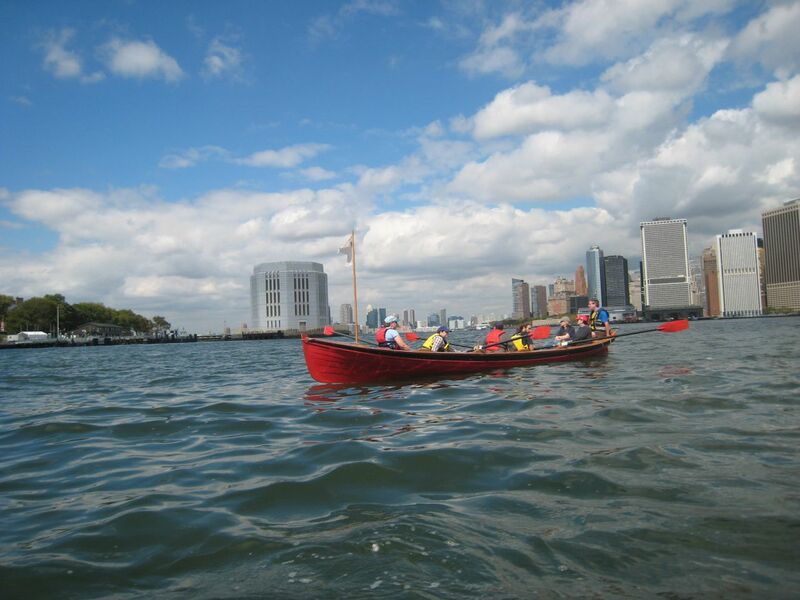 Use the current year’s Eldridge Tide and Pilot Book** for detailed hourly current charts for NYC waterways. Or, use a website like http://www.timeanddate.com/worldclock/astronomy.html?n=179. Locate your destination then look at that point on each of the 12 charts from Eldridge Tide and Pilot Book. Somewhere you will find one chart with the current pointing toward your destination, and the next chart (one hour later) the current arrows are pointing away from your destination. That is the time (in hours from high or low tide at THE BATTERY, NYC) you want to be where you are going. Then you can use the tide TABLES in Eldridge, the 2012 Battery tables from the National Oceanic and Atmospheric Administration (NOAA) or online* at the above resources to find the times of high and low water at THE BATTERY, NYC, either for the day you are interested in OR the time you are interested in, or [hopefully] both. * ELDRIDGE is a book that includes harbors from Maine to Florida has so many interesting things in it, and some features are different each year. Although the CURRENT CHARTS stay the same, the TIDE TABLES are always different due to the lunar influence on the tides, and they consist of info from NOAA. Eldridge also has ever-changing articles: in 2011 for instance there is an article about catching and cooking bluefish and others too.